MINNEOLA, Florida, September 30. THREE swimming legends will be inducted into the Florida Swimming Hall of Fame Sunday for contributions to the sport. Rowdy Gaines, Gregg Troy and Martin Zubero will be a part of the second class of inductees, joining seven that were part of the inaugural group in 2011. Among the inductees in that first class were Olympic swimming champions Brooke Bennett and Anthony Nesty. Though the three new inductees likely need very little introduction to many swimming fans, we’ll provide some background on their lives to give you a taste of their worth to swimming in Florida and beyond state boundaries. Rowdy Gaines was born and raised in Winter Park, Fla., and became a national success during his years at Auburn University. That success grew to the international level in time for the 1980 Olympics, but his dream of multiple gold medals was shattered by the boycott. Gaines stayed in the sport and broke world records in the 100 and 200 freestyles in the early 1980s. His Olympic dreams were realized in 1984 when he won three gold medals at the Los Angeles Olympics. Gaines returned to racing as a Masters swimmer, setting many world records across multiple age groups while becoming known as “The Voice of Swimming” as color commentator for NBC’s broadcasts of the Olympic Games and other swimming competitions. His first gig as commentator for the Olympics was in 1992 and he is still going strong. 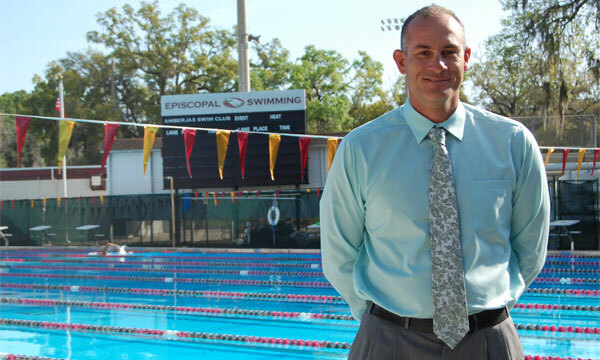 Gaines is now the aquatics director for the YMCA of Orlando. 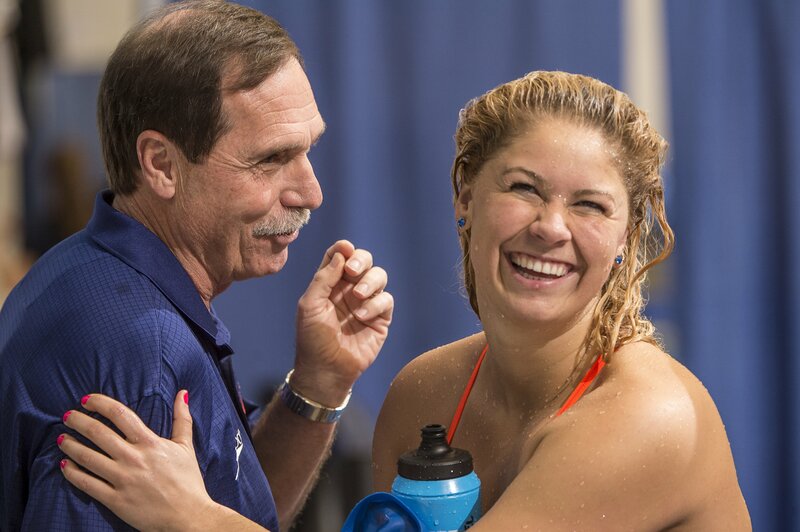 Gregg Troy, now the coach of the Florida men’s and women’s swim teams, has a long career of coaching in Florida. 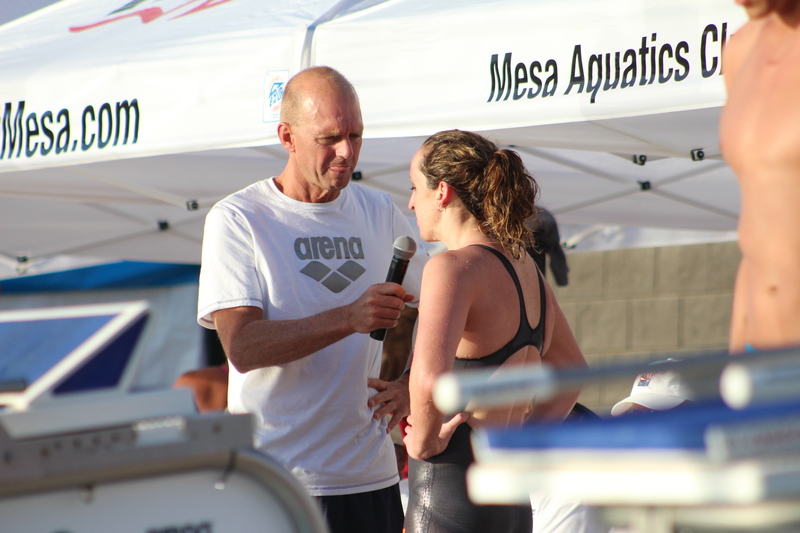 He’s now in his 19th season as head coach and has guided some of the fastest swimmers in history to success. Ryan Lochte, Elizabeth Beisel, Gemma Spofforth, Caroline Burckle and Conor Dwyer are just a few to have won Olympic medals and/or broken world records under Troy’s guidance. Before his time at Florida, Troy was very successful at The Bolles School for 20 years. There, he helped Nesty become an Olympic champion in the 100 fly in 1988 and developed Greg Burgess, Gustavo Borges, George Bovell, Charlie Houchin, Trina Jackson and many more on their way to Olympic glory. Martin Zubero was born in Florida to Spanish parents, allowing him to represent Spain at the 1992 Olympics. Swimming in front of a partisan crowd in Barcelona, Zubero won the 200 backstroke a year after breaking the world record in the event. He had a stellar career at the University of Florida, winning several NCAA individual titles. Zubero remained in the sport after his retirement and has been coaching at the age group level across the state. He’s now the head coach at the Episcopal School of Jacksonville.